Below you fill find all funeral homes and cemeteries in or near Kelso. Kelso is also known as: Cowlitz County / Kelso city. Their current mayor is Mayor Steve Taylor. Zip codes in the city: 98626. Cowlitz County funeral flowers can be purchased from one of the local funeral shops we partner with. Some of the notable people born here have been: Trevor May (baseball player). Kelso is a city in southwest Washington State, United States, and is the county seat of Cowlitz County. At the 2010 census, the population was 11,925. 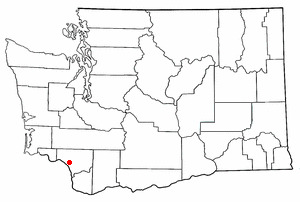 Kelso is part of the Longview, Washington Metropolitan Statistical Area, which has a population of 102,410. Kelso shares its long western border with Longview. It is near Mount St. Helens. It was noted by The Daily News on November 24th, 2018 that Michael Troy "Mike" Pearce perished in Kelso, Washington. Pearce was 50 years old. Send flowers to express your sympathy and honor Michael Troy "Mike"'s life. It was written by The Daily News on November 17th, 2018 that Jerianne Laroy (Dalton) died in Kelso, Washington. Ms. Laroy was 71 years old. Send flowers to express your sympathy and honor Jerianne's life. It was written by The Daily News on November 1st, 2018 that John Ecmunsnson passed away in Kelso, Washington. Ecmunsnson was 81 years old and was born in Red Dear, . Send flowers to express your sorrow and honor John's life. It was written by The Daily News on October 31st, 2018 that George Merle Basom died in Kelso, Washington. Basom was 90 years old. Send flowers to share your condolences and honor George Merle's life. It was disclosed by The Daily News on October 30th, 2018 that Harold W "Steve" Stevens passed away in Kelso, Washington. Stevens was 98 years old and was born in Hobart, IN. Send flowers to express your sympathy and honor Harold W "Steve"'s life. It was noted by The Daily News on October 2nd, 2018 that Helen Mae McDaniel (Criswell) passed on in Kelso, Washington. Ms. McDaniel was 98 years old. Send flowers to express your sympathy and honor Helen Mae's life. It was written by The Daily News on October 1st, 2018 that Arthur Richard Breman passed on in Kelso, Washington. Breman was 83 years old. Send flowers to share your condolences and honor Arthur Richard's life. It was noted on September 16th, 2018 that Bill Hill passed on in Sun City West, Arizona. Hill was 87 years old and was born in Kelso, WA. Send flowers to share your condolences and honor Bill's life. It was written by Register Guard on September 7th, 2018 that Dolores "Dee" Yancy (Fowler) perished in Eugene, Oregon. Ms. Yancy was 90 years old and was born in Kelso, WA. Send flowers to share your condolences and honor Dolores "Dee"'s life. It was revealed by Register Guard on September 2nd, 2018 that Mary "Alice" Gunnip perished in Veneta, Oregon. Gunnip was 85 years old and was born in Kelso, WA. Send flowers to share your condolences and honor Mary "Alice"'s life. The Cowlitz people were separated into the Upper (or Taidnapam) and Lower (or Mountain) Cowlitz tribes, who were members of the Sahaptin and Salish language families respectively. It was known as "little Chicago" early in its history because of the large number of taverns and brothels that catered to local loggers. On May 18, 1980, Kelso residents had front row seats for the eruption of Mt. Kelso is a city in Cowlitz County, Washington County, Washington, United States. In 1855, European explorers noted that there numbered over 6000 individuals of the Cowlitz Tribe. The official website for the city of Kelso is http://www.kelso.gov. Listing all funeral homes in Kelso, Washington so you can easily send flowers to any location (same day delivery) or find any funeral service. Find funeral directors & Funeral Directors in Kelso, WA. Read business reviews, find driving directions, and more. funeral directors on YP.COM. Funeral Pre-arrangement in Kelso, WA on Yahoo! Local Get Ratings & Reviews on Funeral Pre-arrangement with Photos, Maps, Driving Directions and more. We work with local florists and flower shops to offer same day delivery. You will find budget sympathy flowers in Kelso here. Our funeral flowers are cheap in price but not in value.